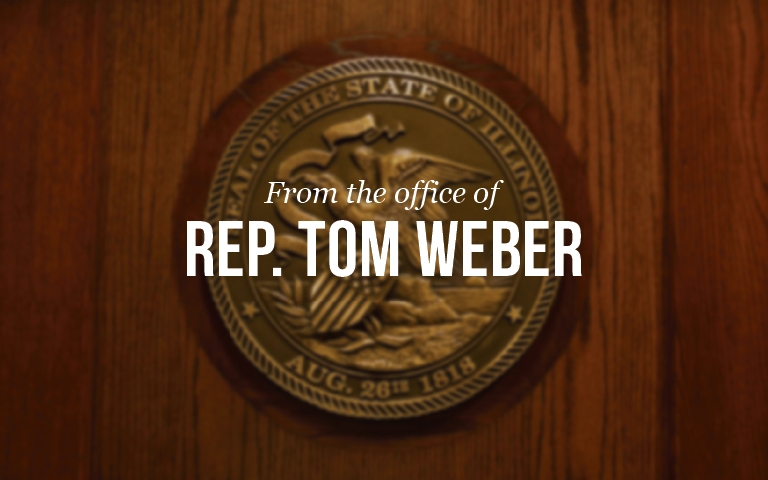 State Representative Tom Weber (R-Lake Villa) has filed legislation in the Illinois House of Representatives to close a gap in county government. House Bill 1495 would create a removal and replacement process for the chair of a county board in counties where the chair of the board is chosen by fellow board members. A unique situation occurred to the Lake County Board in 2018, where Weber served prior to joining the General Assembly. In July of 2018, the chair of the board at the time went on a temporary leave of absence, which soon became permanent, but never resigned from his seat on the board or his position as board chair. It placed a unique strain on the board because the board chair is a full-time position, but the other board positions are only part-time, including that of vice-chair, whom had to assume the full responsibilities of board chair until the term ended in December. In consultation with Lake County Board Members, Weber has filed HB 1495 to ensure a similar scenario cannot happen in Lake County again, or other counties where the chair of the board is chosen by their fellow board members. The legislation provides that the chair of the board may be removed by a vote of four-fifths of the board; in the case of Lake County, that would require 17 of 21 board members. Once the current chair of the board has been removed, their duties will temporarily be assumed by the vice-chair (without extra compensation) until the next regularly scheduled board meeting, at which time a new chair of the board will be elected by the board members. Weber said the threshold of four-fifths to remove a board chair is to ensure this process cannot be used for partisan means, but only in rare and unique instances when the board must act to ensure the effectiveness of government. He also reiterated that the bill only applies to counties where the chair is elected by fellow board members and not counties where the chair of the board is popularly elected by voters. Under that county government structure, he said it should be up to the voters who elected the chair originally. For more information about House Bill 1495, Click Here.